​Pond Algae is among the most common problems Twin Cities Minnesota (MN) area Pond owners have in their ponds. 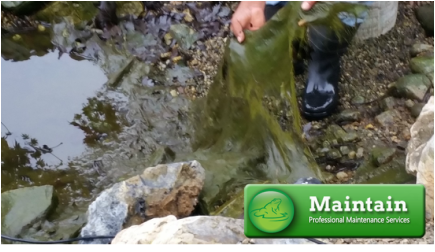 Understanding the basic principles of Pond Algae types will save you time, money, and headaches in your water gardening adventures … If You Can't figure out any solutions, We are a contractor that can provide you with pond algae solutions, that Service the Minneapolis, St. Paul surrounding areas. The most common issues we come across when servicing Pond Algae in the Twin Cities areas, can be pinpointed to six areas. 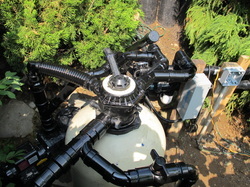 Contrary to poular belief, a pump sitting at the bottom of your pond is not an actual working filter. 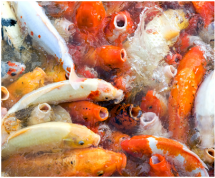 Most pieced together ponds have a mix match of products in hopes of proper filtration. Their are many systems that work really well, but they all take a pre-set amount of routine maintenance. Ponds that are overstocked with too many fish certainly promote pond algae. It is so tempting to buy and buy not forgetting that the koi we buy are babies. As it grows we have even more acute lack of space and process ever growing waste. Imagine a 4 inch baby has grown to 1 foot, 3 times in few months! The end result is increasing nitrogen levels, which in turn becomes nutrients for algae blooms. 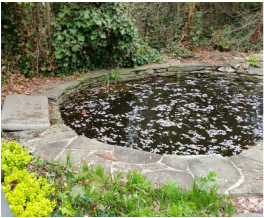 Unfortunately with pond filtration systems that look like this, regular back-washing and refilling expelled water can put a strain on your free time, and make it easy to neglect, causing a backup of alternate issues that compound themselves in multiples. You see green water, we see crashed ecosystems. 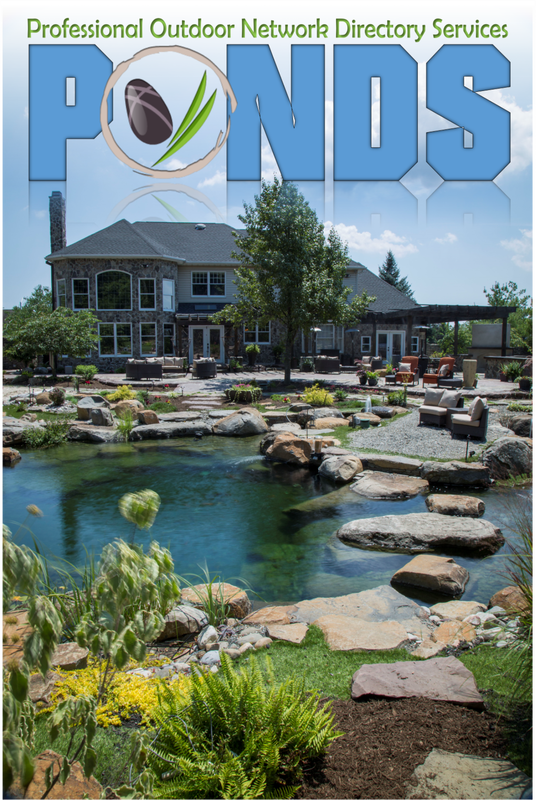 The improper usage or complete lack of natural water treatments promotes pond algae. A pond is only as healthy as the water in it. 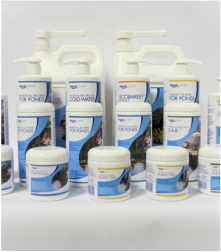 Aquascape Inc carries a full selection of pond water treatments necessary to create a balanced, healthy, and happy pond. Treating pond algae with pond chemicals is not a long term solution to this pond problem. 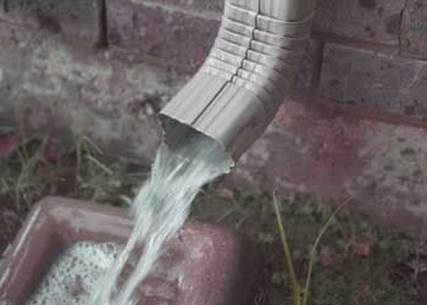 It’s a quick fix that puts additional stress and loads on your pond. So take care and read all directions before just dumping into your pond. 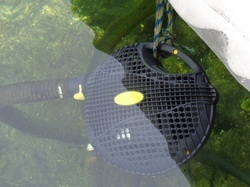 Poor pond circulation occurs usually when encountered with the cost of replacing a burnt out pond pump. Most often people opt for a smaller pump to save money, but ultimately cause major circulation issues, which then they battle with endless additives and mixtures trying to solve a problem caused by less circulation. 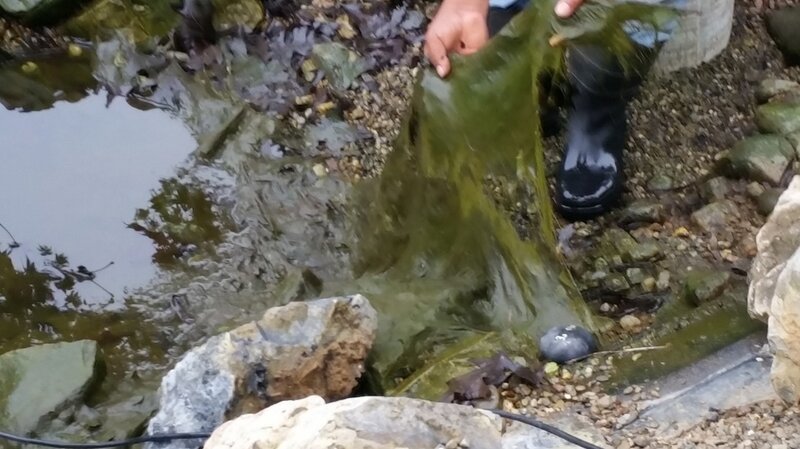 We have noticed over the years that we receive many phone calls about algae blooms after long heavy rainy periods. The rainwater is full of nitrogen which is ultimately a fertilizer that algae can feed on. Having poor filtration, or low circulation will enhance the algae blooms based on how much rain the pond has collected.